Wonderful hotel. Everything at your doorstep. Amazing breakfast options. Would definitely recommend staying here. Very new hotel. Super clean. 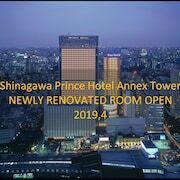 Maybe the best hotel in Shinjuku. Ive stayed in about 15 different hotels in Shinjuku, and it has to be my favorite now. A+++ Worth the money! Get ready to say 'Bye, Felicia' to ordinary life and hello to Tokyo. If you've just gotta get away, lastminute.com.au can help you score an absurdly good-looking rate on a hotel room (Felicias not included). With a whopping 89 hotels within 2 kilometres of the CBD, the biggest problem you'll have will be picking the right one. Keen to have a few wild ones on the town? 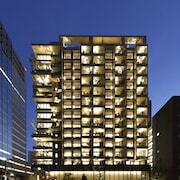 You can't get more central than the Four Seasons Hotel Tokyo at Marunouchi and the Mandarin Oriental Tokyo! 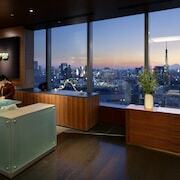 You could also try out the Shangri-La Hotel, Tokyo and The Peninsula Tokyo. Spending a couple of nights in Chuo is a terrific choice, as it's only 2 kilometres away from the middle of town. It has 68 available accommodations. 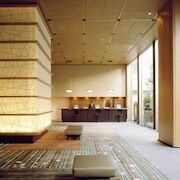 Consider organising a room at the Courtyard by Marriott Tokyo Ginza and Royal Park Hotel Tokyo Nihonbashi. Minato, 3 kilometres from the city centre, is another favoured neighbourhood. You'll be spoiled for choice here, with 67 listed options. Some of the best are The Ritz-Carlton, Tokyo and Grand Hyatt Tokyo. Devoted sightseer or relaxed globetrotter, Tokyo Tower has gotta be seen! Hoping to stay within strolling distance? The Conrad Tokyo and Palace Hotel Tokyo are your top options. 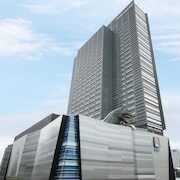 The Hotel Dream Gate Maihama and the Hotel Okura Tokyo Bay are close to Tokyo Sea Life Park. Handy, right? The Edo-Tokyo Museum, one more epic attraction, is just a breezy stroll from the Sadachiyo and the APA Hotel Ginza-Takaracho. 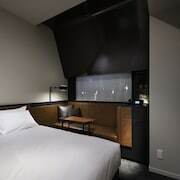 The 1/3rd Residence Serviced Apartments Nihonbashi or the Lotte City Hotel Kinshicho have comfy beds for those who want to stay closer to the Asakusa Shrine. The Annex Katsutaro Ryokan and the Hotel Grand Palace are no-brainers if the Tokyo National Science Museum is more your style. Take your friends for a game of soccer or a peaceful afternoon stroll through Hamacho Park. Need a room for the night nearby? No dramas, we've got your back. 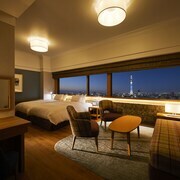 The Tokyo Station Hotel and Mitsui Garden Hotel Ginza Premier are just a hop, skip and a jump away. Visit Oiwainaritamiya Shrine and rekindle your spiritual nature. 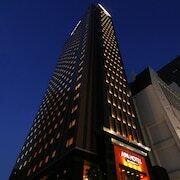 If you'd rather spend your nights near this attraction, consider the Imperial Hotel and Daiichi Hotel Tokyo. Getting ready to land? It won't be long before you can ditch your uncomfortable aeroplane seat for a luxurious bed! 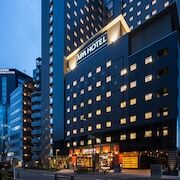 The Haneda Excel Hotel Tokyu and the Royal Park Hotel THE Haneda are not too far from Haneda Airport, which is just 14 kilometres from Tokyo's centre.